Dr. Boudreaux has been a practicing Pediatric Hematologist at Children’s since 1997. She attended Louisiana State University School of Medicine in New Orleans, La. 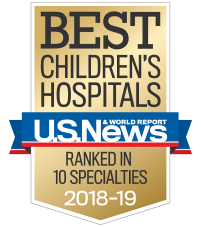 She completed her pediatric residency at Children’s Hospital of Alabama/University of Alabama, followed by a fellowship in pediatric hematology/oncology at St. Louis Children’s Hospital/Washington University. She began her career at Scottish Rite Children’s Hospital, which subsequently merged with Egleston hospital forming Children’s Healthcare of Atlanta. She was promoted from Assistant to Associate Professor of Pediatrics at Emory in 2012. Dr. Boudreaux specializes in thalassemia and is Founder and Director of the Comprehensive Thalassemia Program at Children’s, one of only nine such programs in the U.S and the only one serving the Southeast. The program, which began in 2004, has grown significantly in its numbers, reach and stature. It provides complete care for metro Atlanta’s pediatric thalassemia patients. In addition, it provides expert thalassemia consultations for adults and children from the Southeast and beyond. The program participated in the Thalassemia Clinical Research Network and the Centers for Disease Control and Prevention’s blood safety and natural history study in thalassemia. Dr. Boudreaux is a member of the Cooley’s Anemia Foundation Medical Advisory Board. In 2018, the program served as the host for the Cooley’s Anemia Foundation’s Patient and Family Conference in Atlanta, Ga. The program hosted its second Thalassemia Patient and Family Camp (ThalPals Camp) in September 2018. Dr. Boudreaux currently serves as the Clinical Leader for the General Hematology Program at Children’s. She sees a wide variety of patients with diseases of platelets, white and red blood cells. She collaborates with fellow hematologists to provide excellent clinical care to patients, as well as access to state-of-the-art research treatment opportunities. She currently serves as the Physician Leader for the hematology/oncology EPIC team, which implements and maintains all aspects of the electronic medical record. She began this work in 2006. In this role, she also serves on various system committees related to the EMR. She is a current member of EPIC’s national Hematology Steering Committee and a past member of the Pediatric Oncology Steering Committee. Dr. Boudreaux was a member of the Aflac Executive Committee from 2004 to 2016. From 2004 to 2010, she served as Medical Director of Hematology/Oncology at the Scottish Rite hospital campus. In 2010, she transitioned to the cross-campus Medical Director for Hematology/Oncology, stepping down at the end of 2016. She has been married to her husband for 21 years, who is a physician at Emory in the Department of Pathology. She is the proud mother of two beautiful children. She enjoys traveling and spending time with her family.